Albie Hecht, the president of CNN's sister channel HLN for the past two years, is stepping down. Ken Jautz, an executive vice president at CNN, will run the channel on an interim basis. 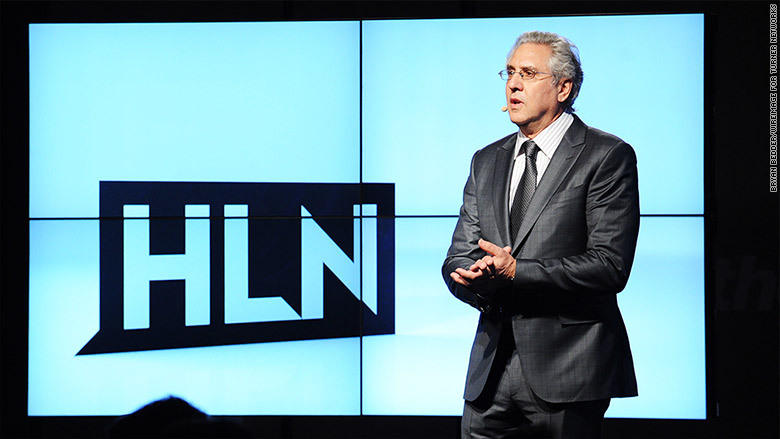 HLN was launched in 1982, two years after CNN, and was known for many years as Headline News. It has shifted away from the headline format. It currently televises a mix of news programming, a social media driven talk show called "The Daily Share," prime time shows hosted by Nancy Grace and Dr. Drew Pinsky, and crime documentaries like "Forensic Files." Jeff Zucker, the president of CNN Worldwide, said in an internal memo that HLN "had its highest share of the cable news market in its history" this year. The channel routinely beats MSNBC among 25- to 54-year-olds. But its pivot toward what Hecht called a "social media network" has proven to be very difficult. "As we look towards 2016, I now believe that by driving HLN's programming during the daytime and overnight hours closer to CNN's, and by utilizing a much stronger library of content that has been built in the last three years, we can take that success to even greater heights," Zucker said in his memo. "In light of that, Albie Hecht has decided it makes sense for him to move on," he added. "With the support of an incredible team at the network, he has done a terrific job running HLN. And it hasn't been easy. His vision, creativity, persistence and commitment have been unwavering and he has been instrumental to HLN's progress." There was no immediate word on what's next for Hecht, who previously ran Spike TV, Nickelodeon Entertainment, and Worldwide Biggies. "I am extremely proud of the transformation we have accomplished," Hecht said in a statement Tuesday, "and I want to thank all of the talented people I've had the privilege of working with at HLN and especially thank Jeff and John Martin for all of their support." Martin is CEO of Turner Broadcasting, the parent company of CNN and HLN.